Chen Xiaoli, Wu Pute*, Zhao Xining. Effects of enhanced atmospheric ammonia on physiological characteristics of maize (Zea mays L.). Journal of the Science of Food and Agriculture. 2013, 93 (12)：3094-3099. (IF=1.759). Chen Xiaoli, Wu Pute*, Zhao Xining, Ren Xiaolong. Effect of different mulches on harvested rainfall use efficiency for corn (Zea mays L.) in semi-arid regions of Northwest China. Arid Land Research and Management. 2013, 27: 272-285. (IF=0.420). Chen Xiaoli, Wu Pute, Zhao Xining, Ren Xiaolong, Jia Zhikuan*. Rainfall harvesting and mulches combination for corn production in the subhumid areas prone to drought of China. Journal of Agronomy & Crop Science. 2012, 198(4)：304-313. (IF=2.151). Chen Xiaoli, Li Shiqing*. Effects of Atmospheric Ammonia Enrichment and Nitrogen Status on the Growth of Maize. Soil Science and Plant Nutrition. 2012, 52(1)：32-40. (IF=0.889). Chen Xiaoli, Wu Pute*, Zhao Xining, Zhang Yongyong, Zhang Fengyun.Water and nitrogen distribution in uncropped ridge-tilled soil under different ridge width. African Journal of Biotechnology. 2011, 10(55)：11527-11536. (IF=0.573). Chen Xiaoli, Ren Xiaolong, Wu Pute, Zhao Xining, Li Jing, Li Shiqing*. Effects of Elevated Ammonia Concentration and Nitrogen Status on the Growth and Yield of Winter Wheat. Agronomy Journal. 2010. 102(4):1194-1200 (IF=1.794). Ren Xiaolong, Chen Xiaoli#, Jia Zhikuan*. Effect of rainfall collecting with ridge and furrow on soil moisture and root growth of corn in semiarid northwest China. Journal of Agronomy and Crop Science. 2010, 196(2):109-122. (IF=1.952). 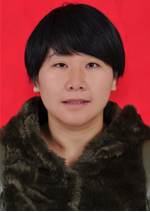 Zhang Peng, Chen Xiaoli#, Wei Ting, Ren Xiaolong, Jia Zhikuan*. Effects of straw incorporation on the soil nutrient contents, enzyme activities, and crop yield in a semiarid region of China. Soil & Tillage Research. 2016, 160:65-72. (IF=2.622). Lv Yue, Wu Pute, Zhao Xining, Chen Xiaoli*. Maize–Soybean Intercropping Interactions Above and Below Ground. Crop Science. 2014, 54(3)：914-922. (IF=1.575). 陈小莉, 李世清, 任小龙等.大气NH3营养对不同氮效率玉米生理指标及生物量的影响.植物生态学报. 2008, 32(1), 204-211. 陈小莉, 李世清, 李生秀等.大气NH3和水平对不同氮效率玉米基因型叶绿素荧光参数的影响. 生态学报. 2008, 28(3), 1026-1033. 陈小莉, 李世清, 李生秀等.半干旱区施氮和灌溉条件下覆膜对春玉米产量及氮素平衡的影响. 植物营养与肥料学报. 2007, 13 (4), 652-658.